Cobalt 7mm wedding band featuring polished finish. Both classic and simple. 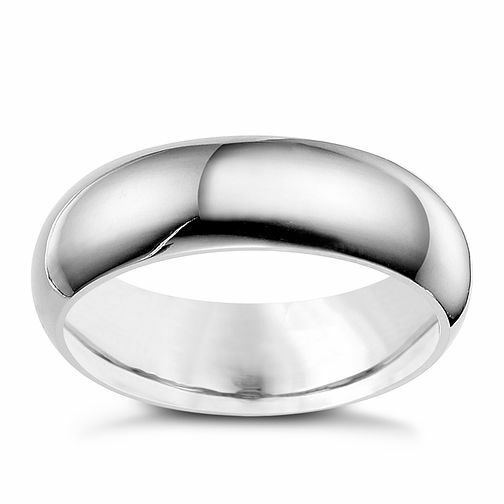 Cobalt is strong and durable metal making it a great modern choice of wedding ring. This innovative, hypoallergenic white metal creates contemporary jewellery. Cobalt 7mm polished wedding ring is rated 5.0 out of 5 by 5. Rated 5 out of 5 by Anonymous from Superb ring Unable to truly review as I had to rely it on blindfolded. It feels nice to wear and I'm told it looks great. I'll have to wait until 8th July to see it for myself. Rated 5 out of 5 by Anonymous from replacement ring I bought this ring, but they did not have my size. but they got me one which arrived the next day by post. I love it. The manager in Ipswich and an assistant could not have been more helpful by not rushing me and checking my ring size carefully. Thank you Ipswich Ernest Jones Staff if I should need one again you will be my first choice to come too.